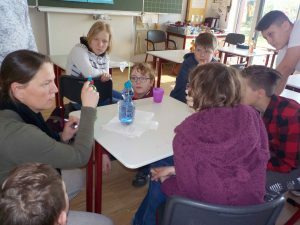 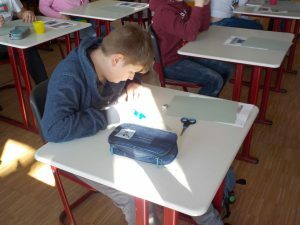 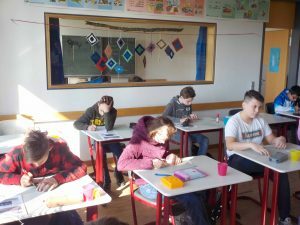 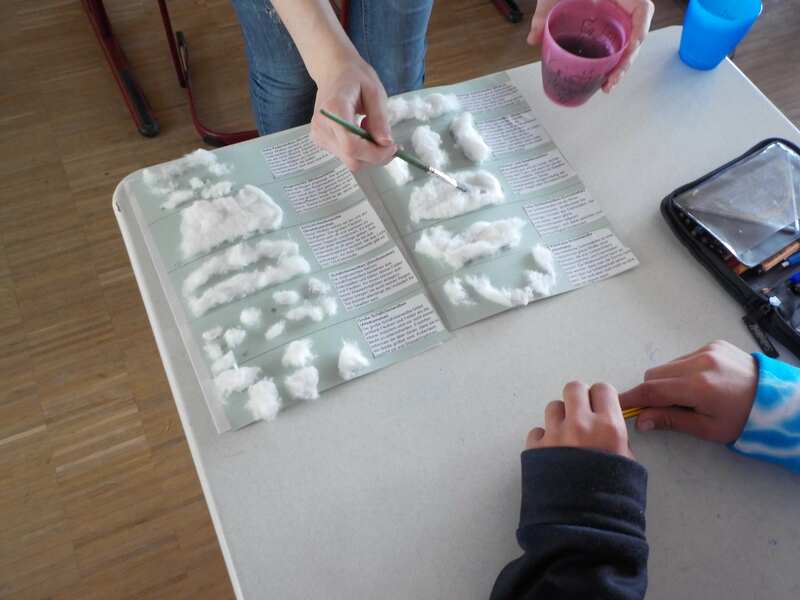 At the beginning of the project days, class 6/7 dealt with the topic of clouds. 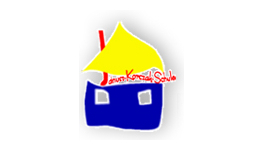 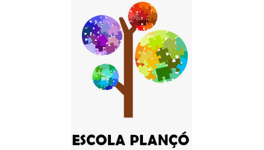 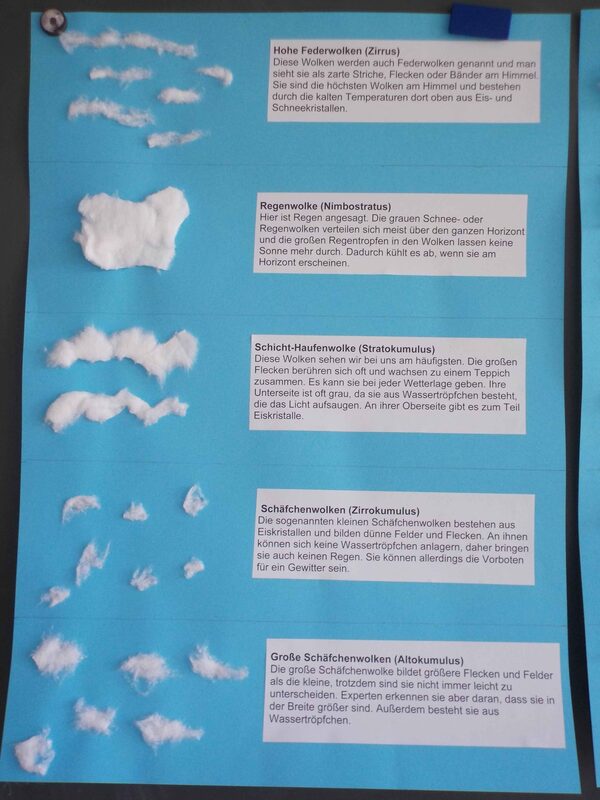 In a short film, the students learned how clouds are created and that there are many different types of clouds. They have learned that clouds are made up of water droplets or ice crystals, look different and are at different heights in the sky. 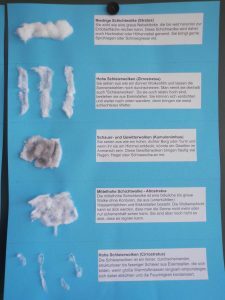 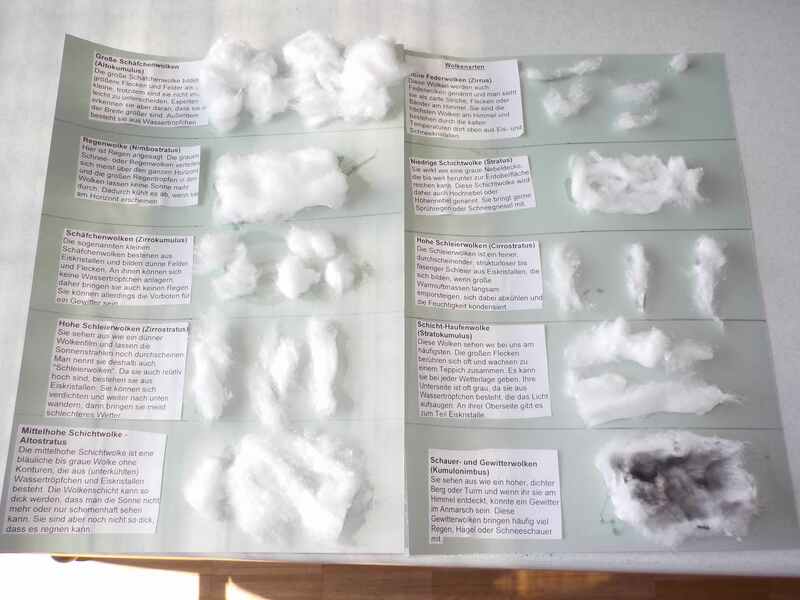 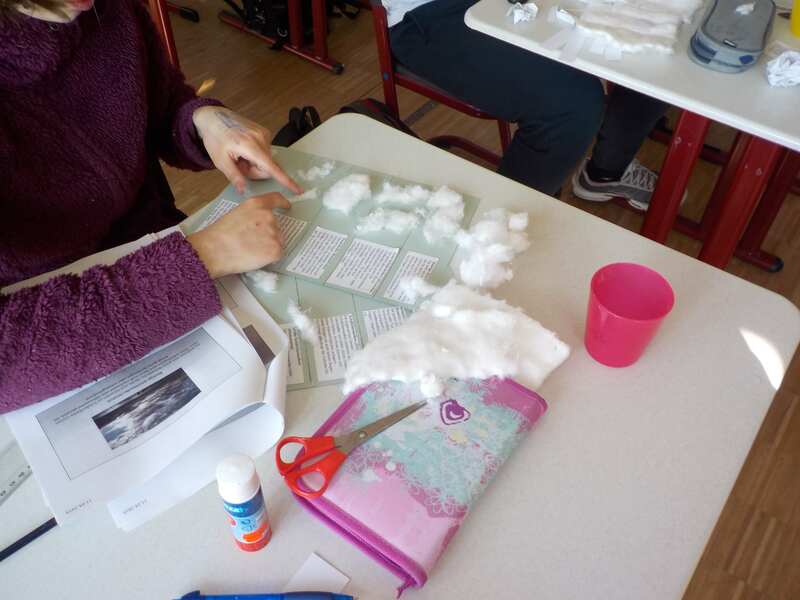 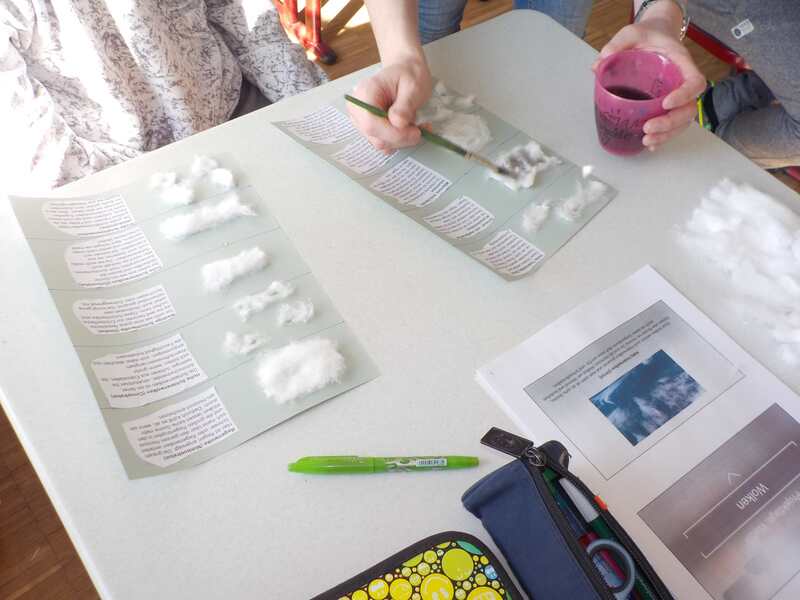 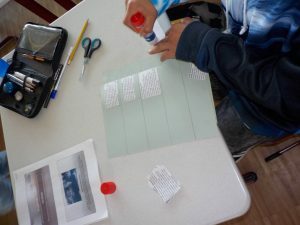 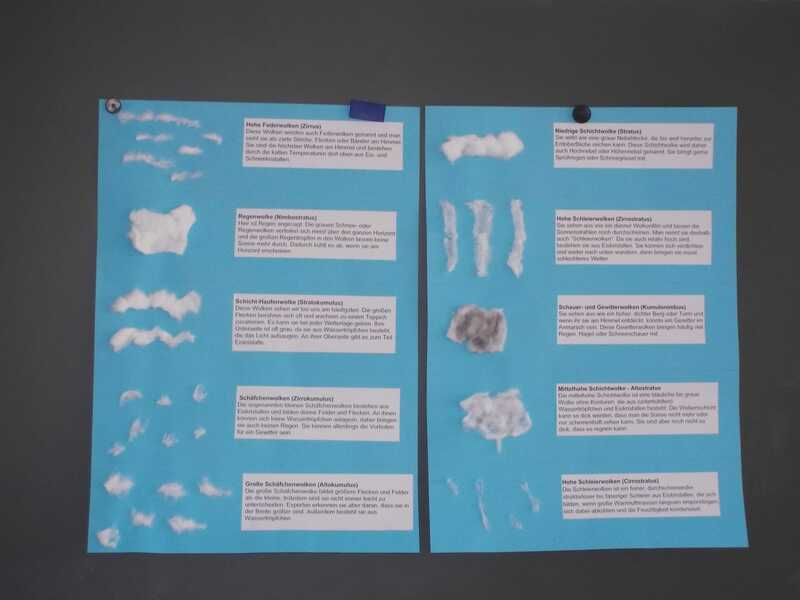 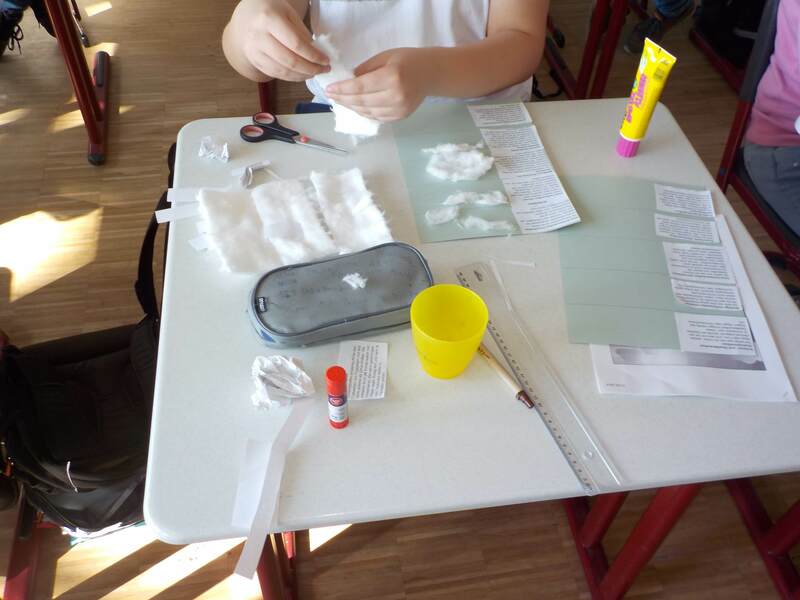 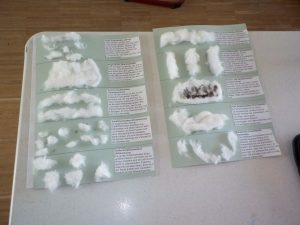 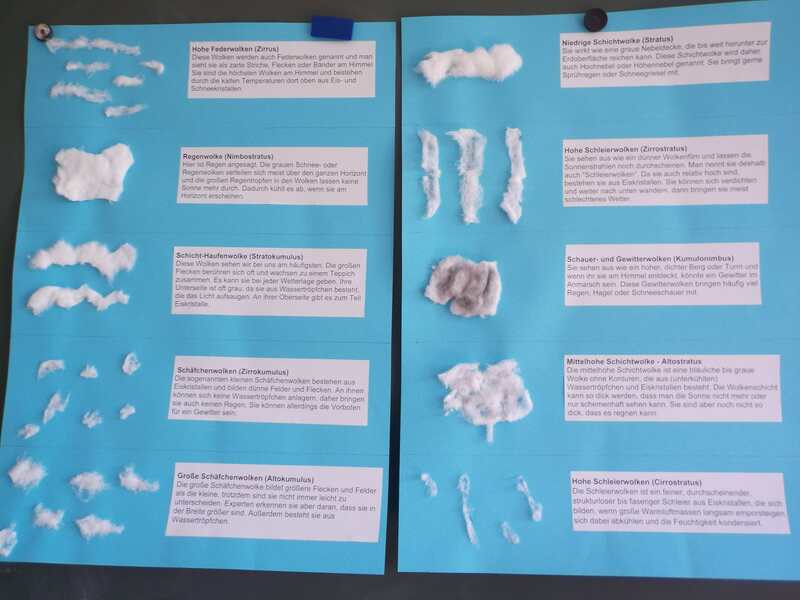 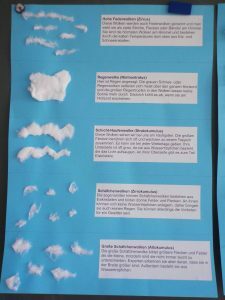 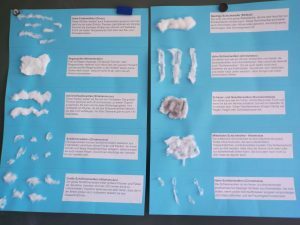 In order to give the pupils an overview of the diversity of the clouds, they used cotton wool to shape the various cloud types and stick them on a paper with short explanations. 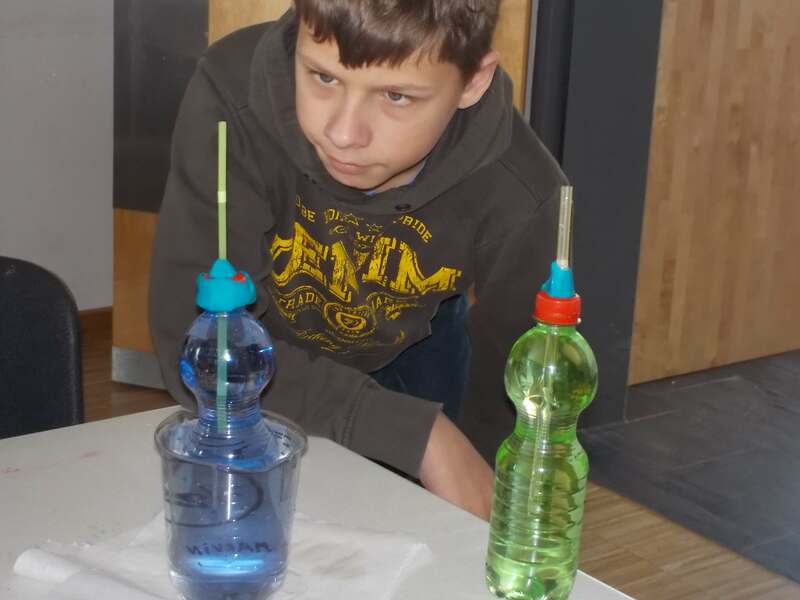 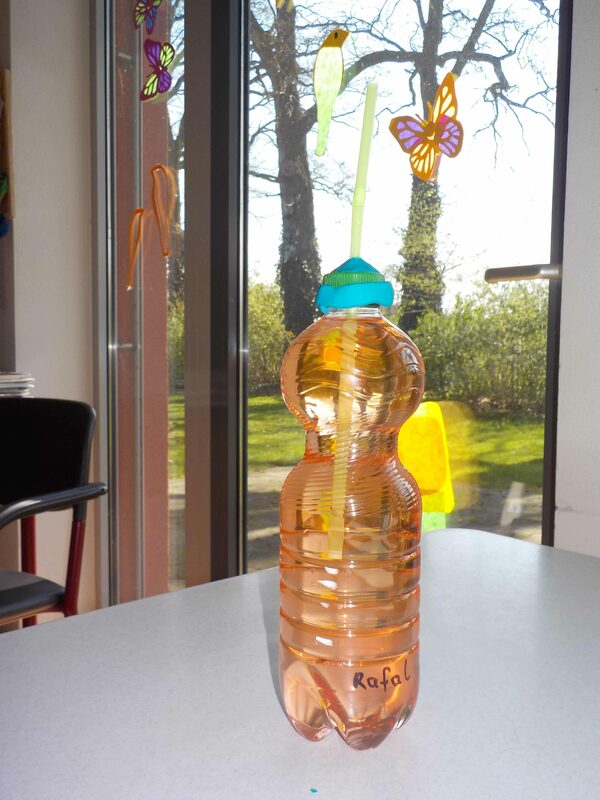 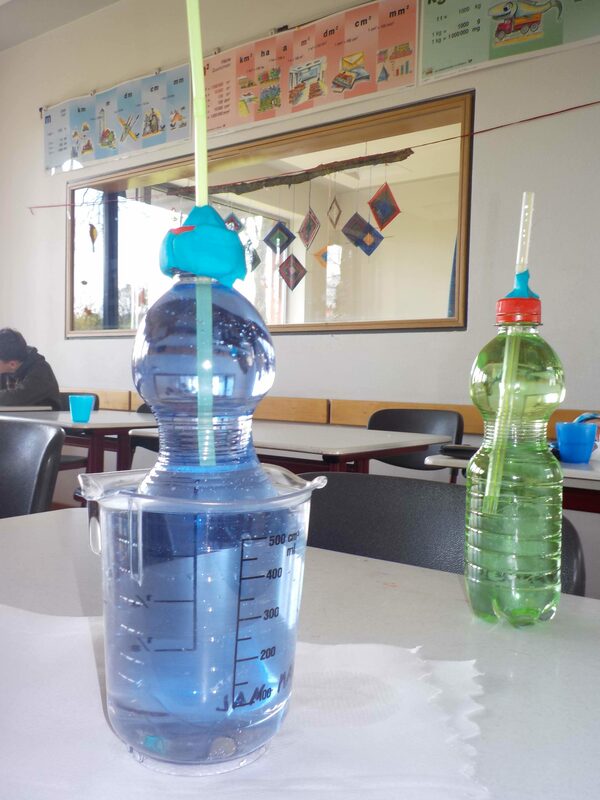 At the end of the project, the students made a thermometer out of a bottle, a straw and colored water. 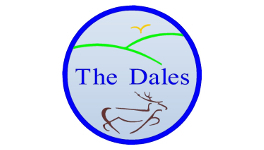 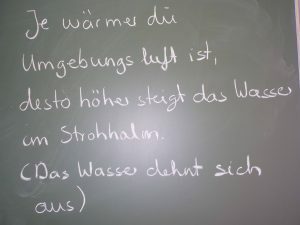 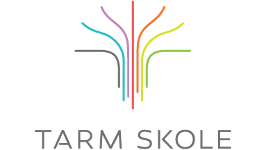 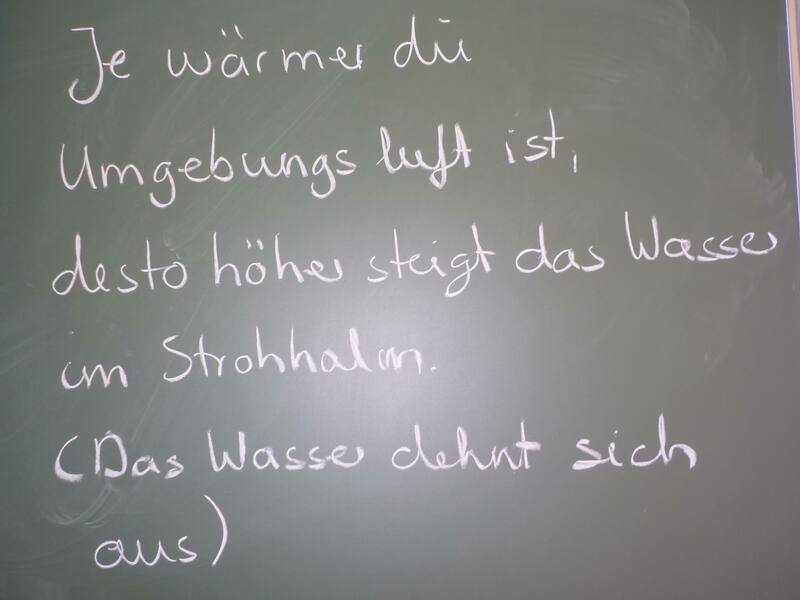 When trying out the thermometer, it could be observed that warm water expands and rises in the straw, while cold water contracts and the water in the straw sinks.